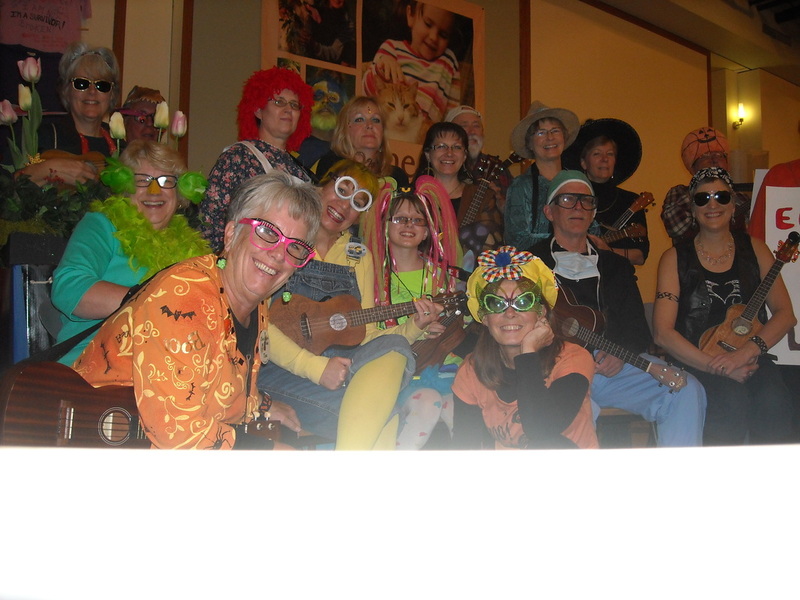 This picture was taken just before our performance at Lil Rev's fund raiser at the Sunset Playhouse in Elm Grove, WI. 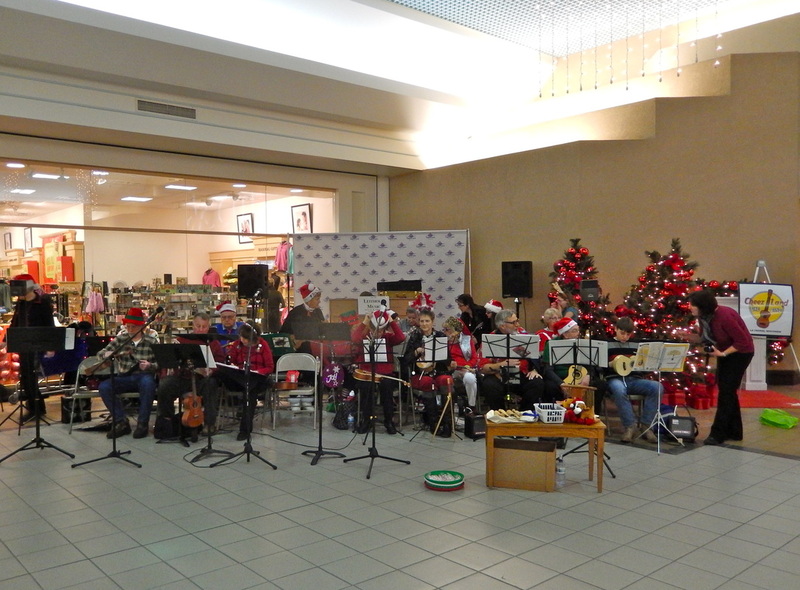 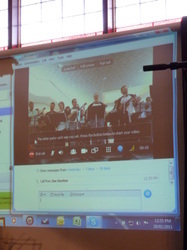 Unfortunately, not everyone that played the gig can be seen in the picture. 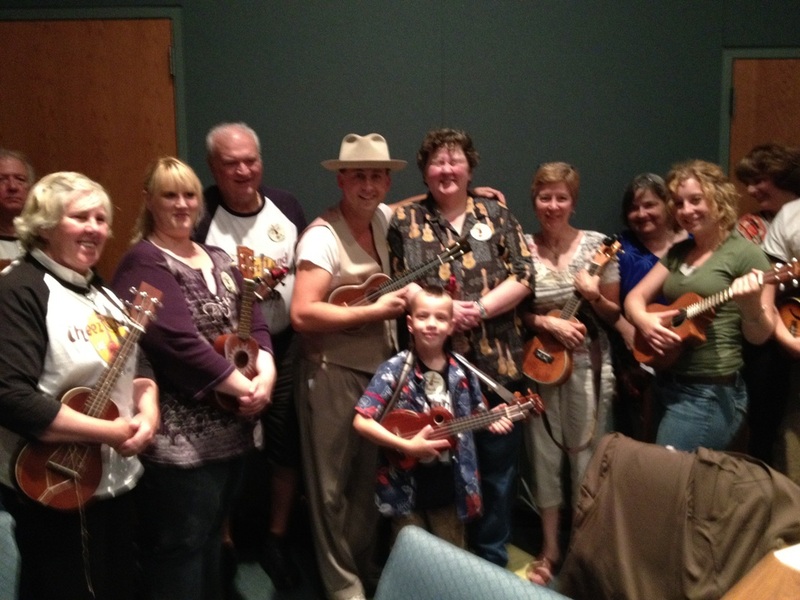 From left to right: Paul Dovenberg, Janie Maly, Dawn Anderson, Jack Evans, Lil Rev with his arm around Dee Peterson, Laura Rumpel, Diane Hofer, Katie Rasmussen, Jeri Zagrodnick and Scott Thornsen's right arm. 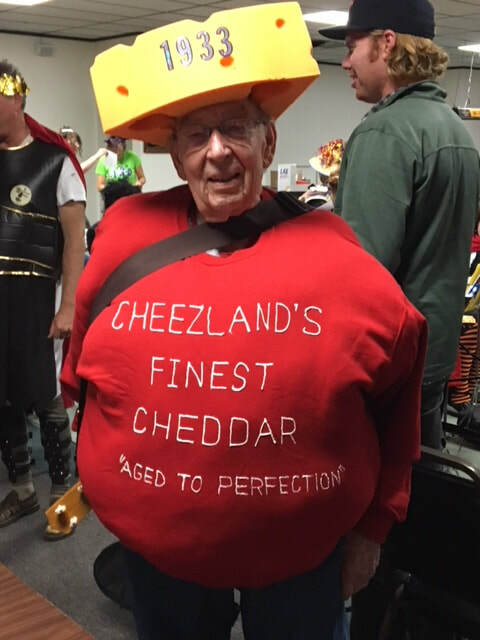 Front and Center: Who else? 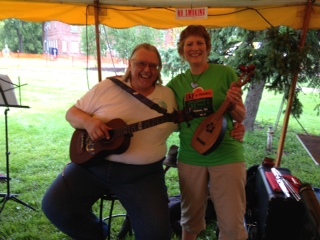 Our man Jacob Zagrodnick sporting his new Summer Mohawk haircut. 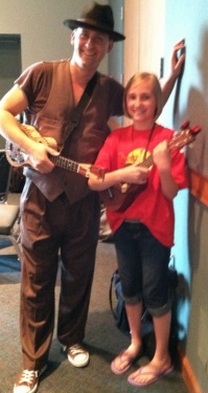 This is our own Ricki Lemke and the Lil' Rev on June 4th, 2011 in Elm Grove at the Sunset Playhouse. 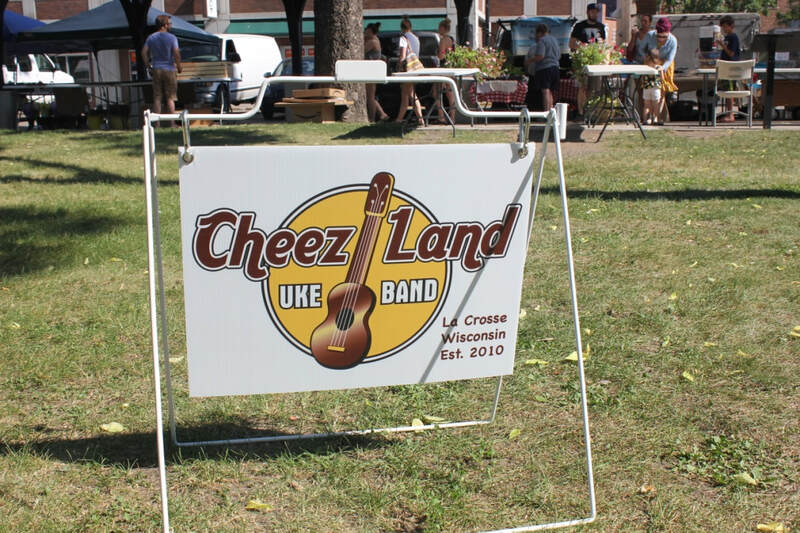 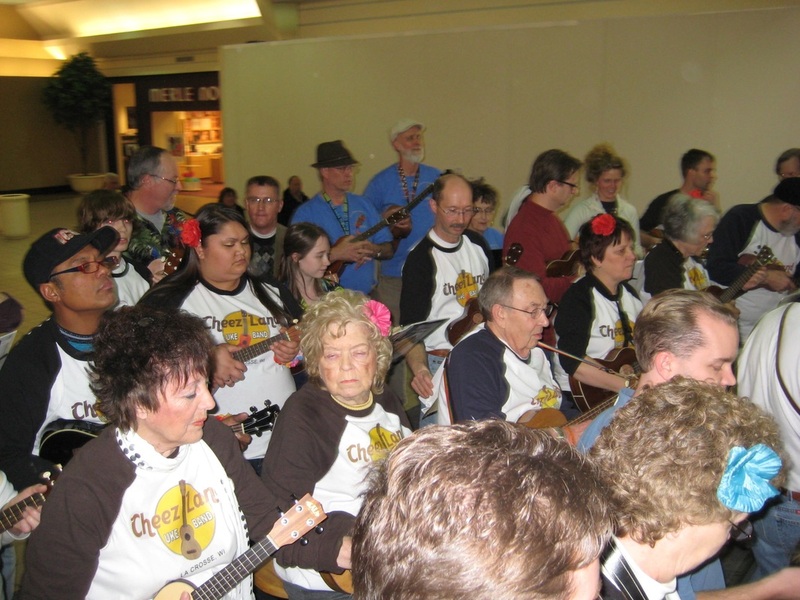 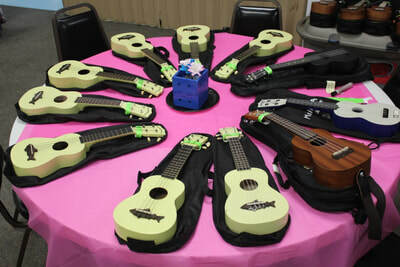 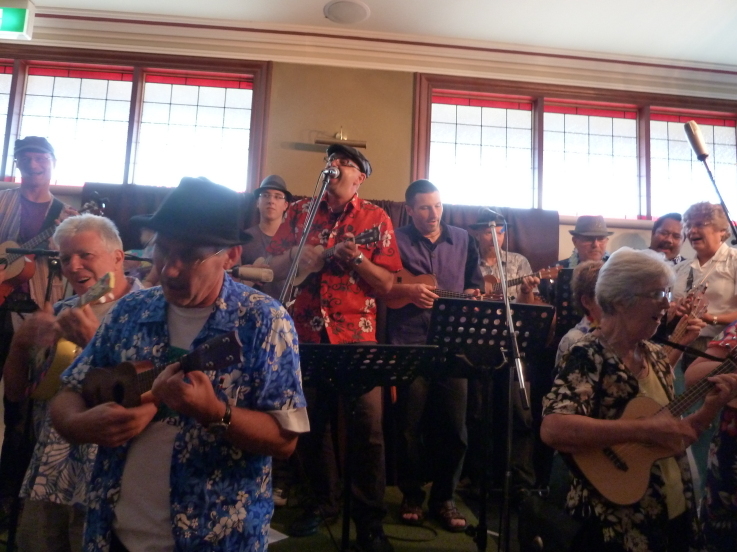 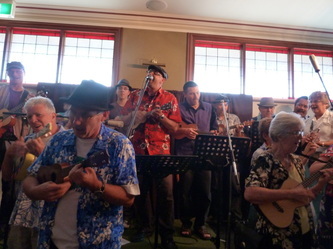 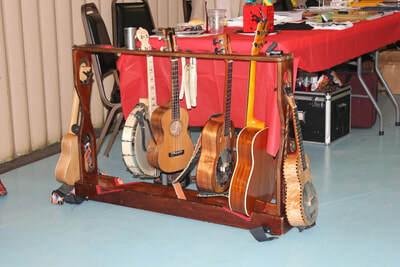 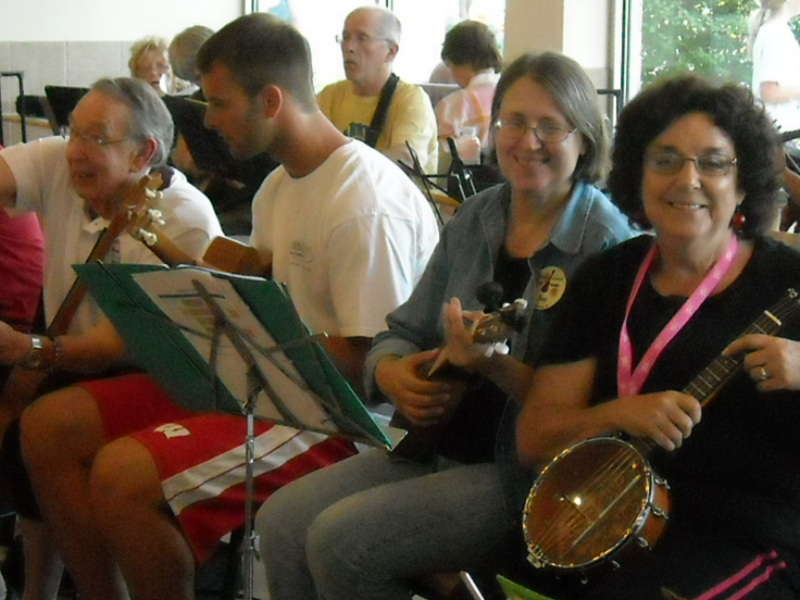 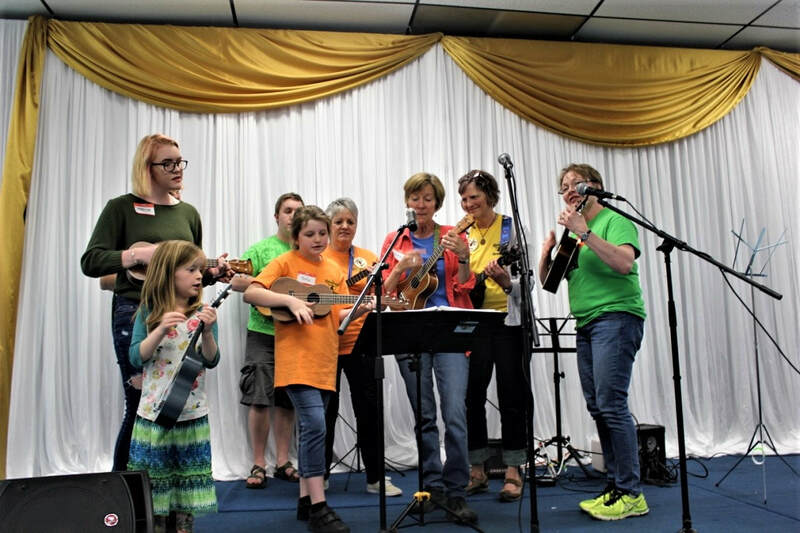 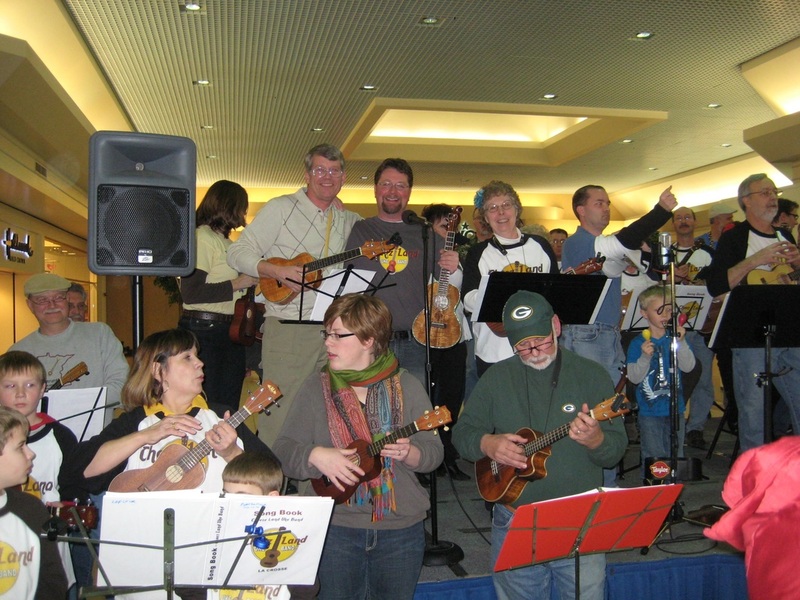 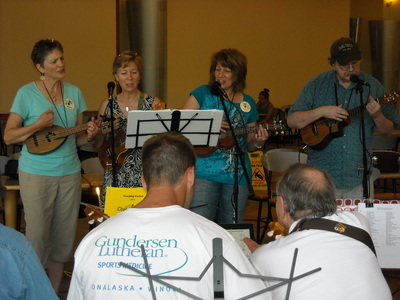 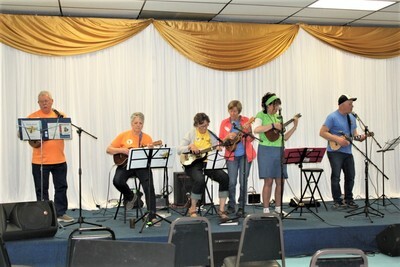 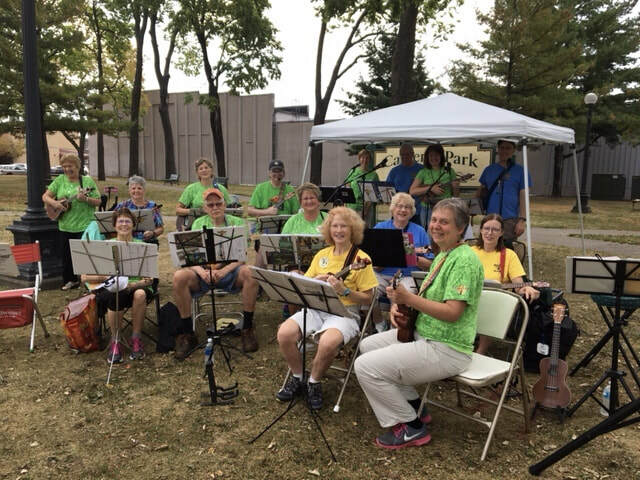 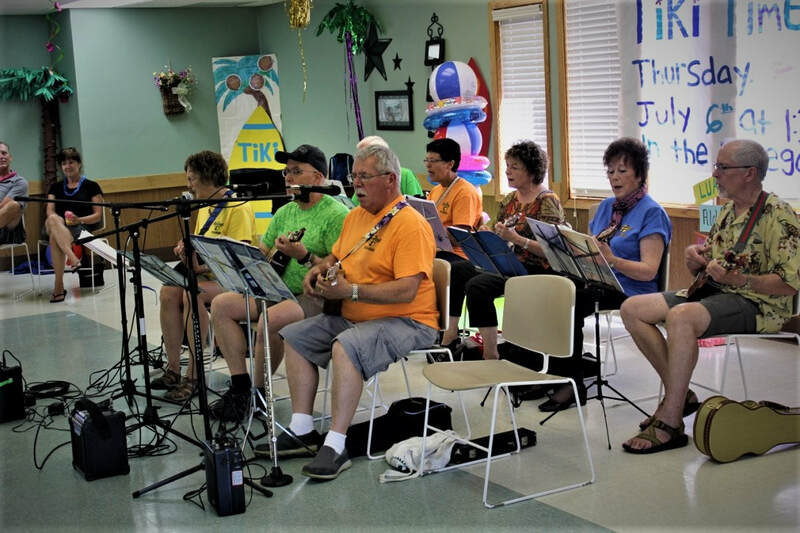 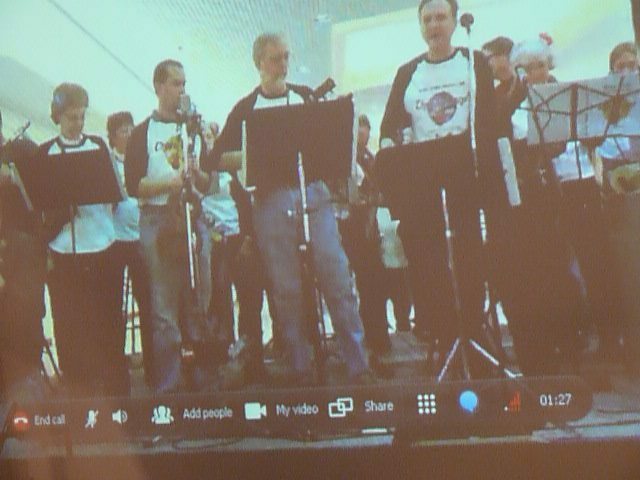 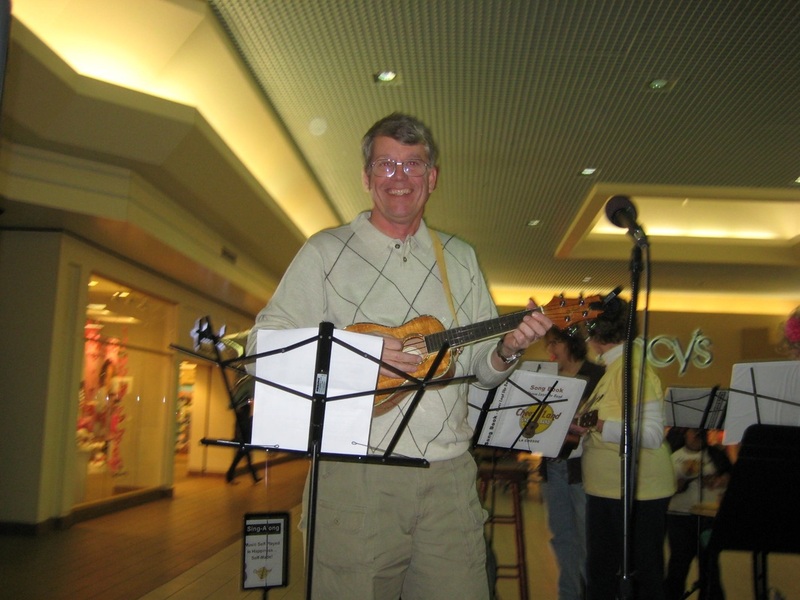 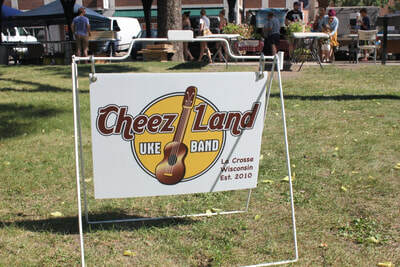 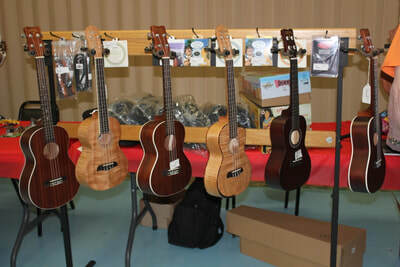 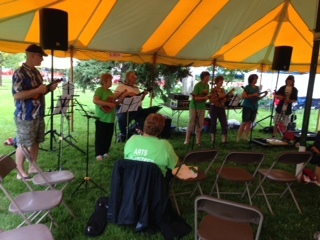 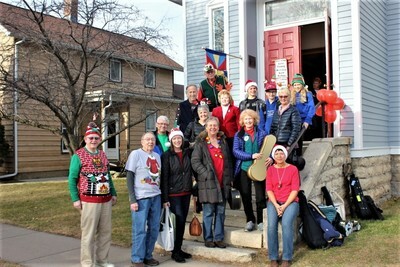 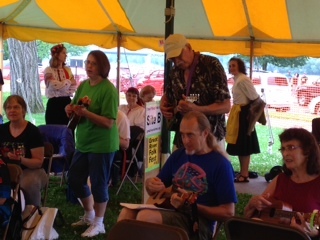 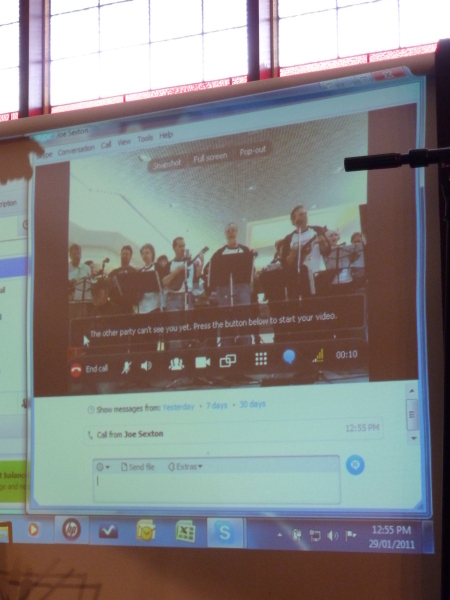 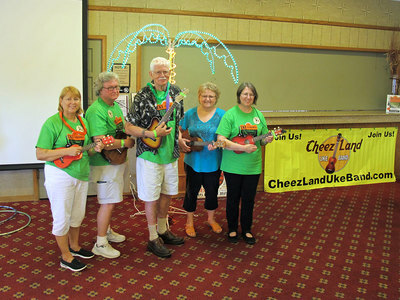 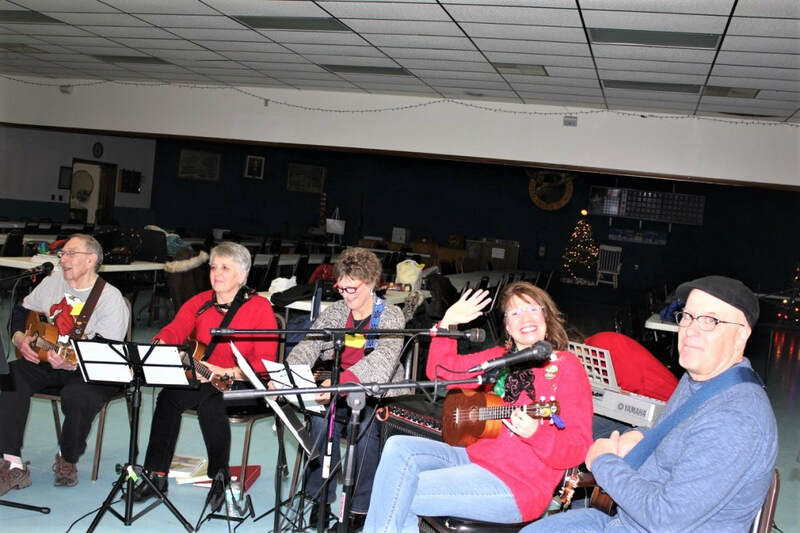 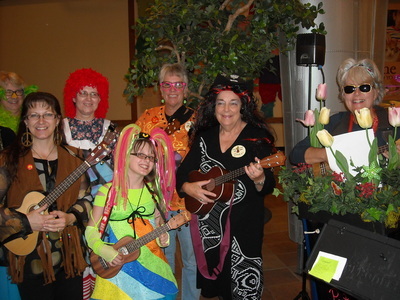 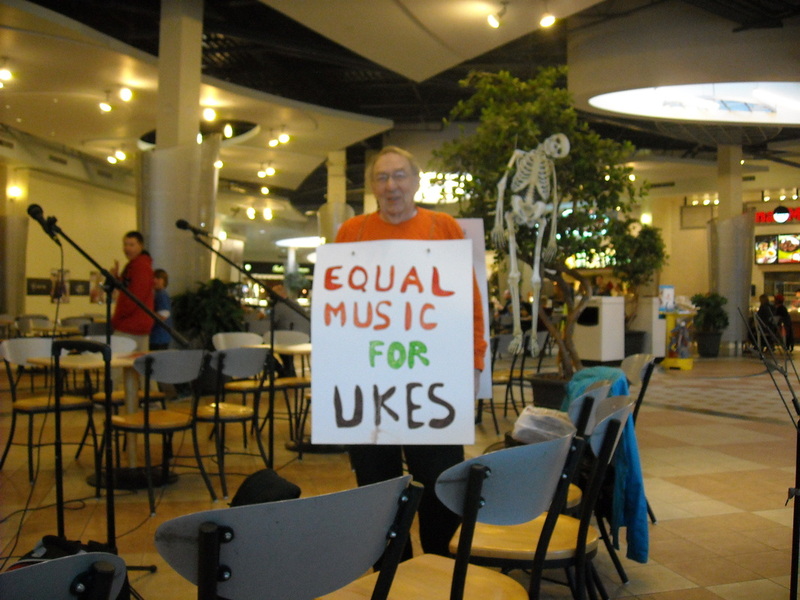 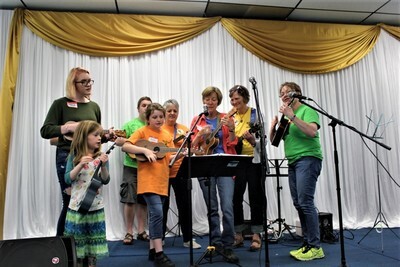 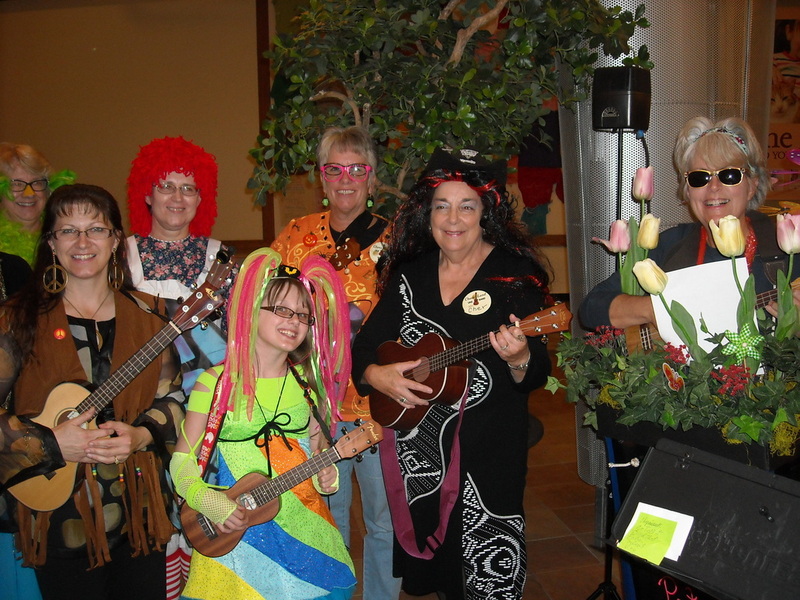 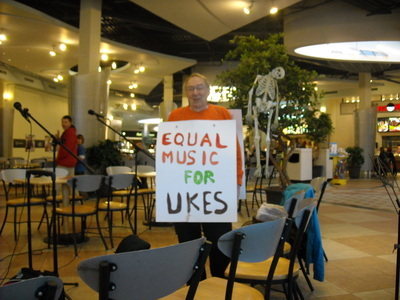 The club played at the Milwaukee Ukulele Club fund raiser. A few of the songs we played can be seen on the performances page.